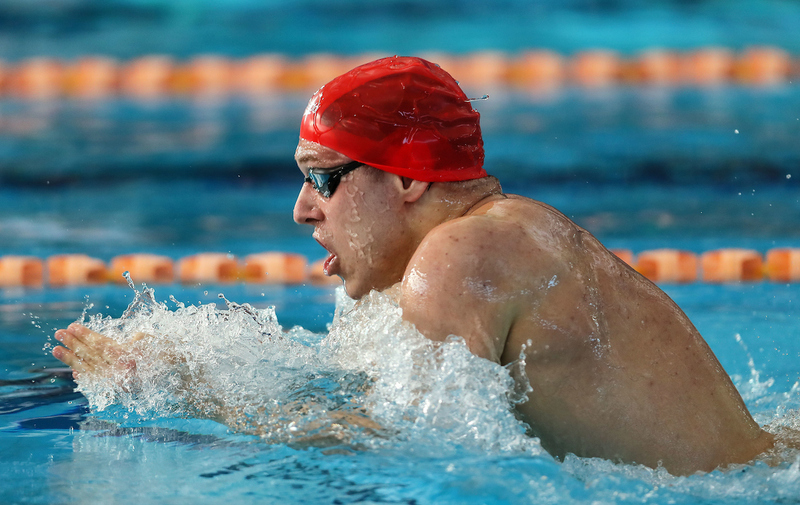 Bradlee Ashby has been in scintillating form at the 2018 New Zealand Short Course Championships, breaking his second national record in as many days. Ashby’s (North Shore) 53.06s time in winning the final of the men’s 100m individual medley, sliced 0.43s off Daniel Bells record set in 2009 at the Australian Short Course Championships. “I was talking to Daniel Bell earlier about the record and I really wanted to beat it, and it feels really good,” Ashby said in his post-race interview. Bell was on hand to present the medals for the 100m individual medley and was delighted to see the record go. “It’s great records are being broken from years ago, it shows that we are moving forward again,” says Bell. Wilrich Coetzee (North Shore) finished second in 54.02s and Jeremy Tasker (North Canterbury) third in 55.78s. Helena Gasson (Coast) returned to competitive competition after taking a break following the 2018 Commonwealth Games. Gasson was all class in dominating the women’s 100m individual medley final and surprised herself with a time of 1:00.61s, slightly over her personal best and national record of 1:00.45s. “I’m really surprised with that time and to get close to my PB, I’ve done no taper at all for this meet so I’m super happy,” says Gasson. Daniel Hunter (Howick Pakuranga) is still the sprint king, winning gold in the men’s 50m freestyle in 22.31s. 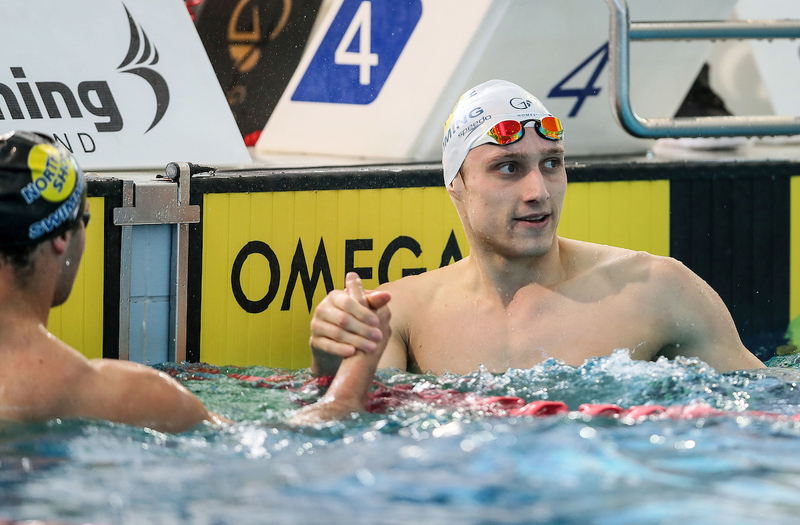 “We’ve done a lot of aerobic work leading up to this so the speed is not yet there but I’m hoping it will be there for the 100m (freestyle) on Saturday,” says Hunter. Tyron Henry (Howick Pakuranga), 17, the youngest in the A-final picked up the silver medal in 22.79s, a new personal best time. Charles Porter (Vikings) won bronze in 22.88s. 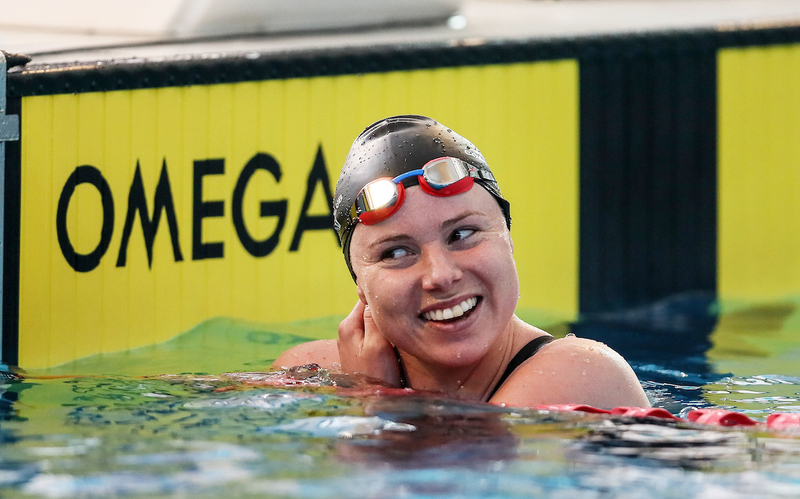 In the women’s 50m freestyle final, Rebecca Moynihan (Raumati) showed the power of her finishing speed, winning her first national title in 25.30s. Paige Flynn (St Peter’s) was second in 25.46s, to go with the 100m backstroke final she won last night. Age-group champion Chelsey Edwards (SwimZone) was third in 25.75s. North Canterbury swimmer George Adam's fist pumping at the finish of the men's 400m freestyle Para multi-class drew cheers and smiles from the crowd. Adams won gold from Benjamin Gould (Geraldine). Chris Arbuthnott (Ice Breaker) and Tupou Neiufi (Howick Pakuranga) both won the men’s and women’s Para multi-class 100m individual medley and 50m freestyle events. George Schroeder (Hokitika) was elated to win the men’s 200m breaststroke in 2:09.73s, well inside the FINA B and consideration time for selection to the FINA World Short Course Championships in Decemeber. Eliot Lundon-Moore (Aquabladz) won the silver medal (2:11.58s) with Johnson Bishop (Taupo) winning bronze (2:17.27s). Matamata swim club’s Matt Hyde added the men’s 400m freestyle title to the 800m freestyle crown he won on the opening night. Hyde pulled away from the field from the 150m mark to win by over 4 seconds (3:49.52s) from Callum Prime (North Shore), 3:53.73s and Quinton Hurley (3:54.24s).